Now it’s properly autumn, the nights are longer, the mornings are darker and this is the time of year where if I’m not careful my energy levels dip and I want to hibernate and hit snooze on the alarm again, and again, and….. see, it’s a slippy slope! 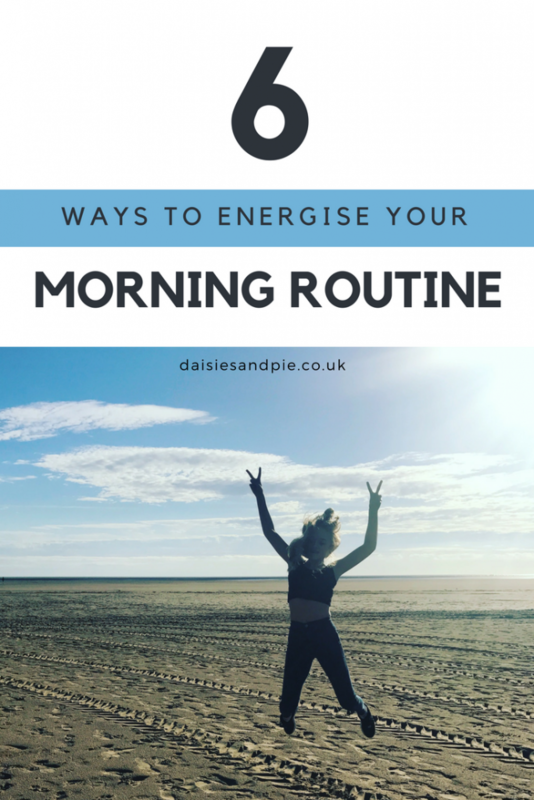 So throughout autumn and winter I make an extra effort to boost my mood and throw a little energy into my mornings – just simple things, totally achievable and they make me happy. First up I fight the urge to hit snooze and get straight out of bed. Mix myself up some warm water with freshly squeezed lemon juice and just a touch of honey. I go outside, whatever the weather – I get into the garden and do 5 minutes of hula hooping, even if it’s pouring with rain, I kinda think the weather really wakes you up, a blast of life and it feels good. I usually eat some fruit and scrambled eggs or peanut butter on wholegrain toast or tuck into porridge with blueberries and a drizzle of maple syrup. These breakfasts always keep me full until lunch time and release the carbs slowly so there’s no sugar rush and crash. I have to have coffee and I wouldn’t be without my Nespresso machine – lovely coffee always perks up my day. During the autumn and winter I like to use body and hair products that contain bergamot, it’s such an uplifting scent, really lifts my mood and makes me feel good.